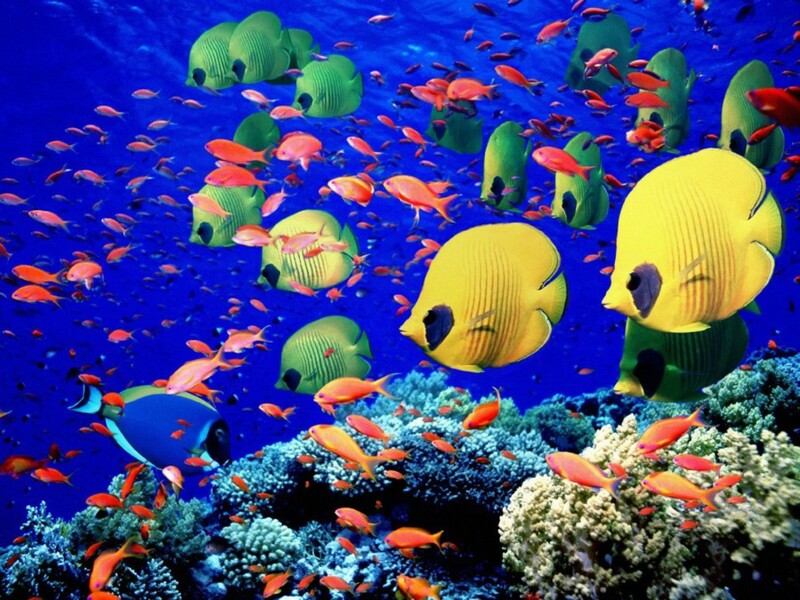 The original spark for this blog came from my recent trip to the great coral reef that is London, England. This was also my way of curating important memories. Though I was in London 16 days, I feel as though I barely scratched the surface of it. That’s in part because of the role I was there to play in Christian’s life, but mostly it’s because you have to live in London as Christian did to begin to grasp the magnitude of it and the way it draws people to itself. I think Christian found the best metaphor to describe London. He said that to him, it’s like a choral reef. The more I thought about that image, the truer I found it to be. Choral reefs take ages to grow and to find an equilibrium. They are vast and varied, offering shelter to multiple living layers that learn to live in balance with each other and even to offer protection to each other. London is an ancient city built layer upon layer, attracting life from the vast ocean of human populations. Life within it is multicoloured, stratified, fluid and fragile, and circulates through its Tube network. Its most colourful spots are its gathering places, like Portobello Road, Borough Market, and all of its theatres and pubs. The best and most avid travellers plan meticulously, spending hours online doing the research that pays off once their destination is reached. I know many people like this, and I understand that built into it is the pleasure of anticipation. I needed none of this. The prospect of meeting up with Christian in England kept me going for months leading up to September. He was to be my guide; all I had to do was follow along. You can’t visit London with a drama school graduate without immersing yourself in its theatre culture. And you shouldn’t. Because New York City notwithstanding, London is the greatest theatre city in the world, with hundreds of theatres operating year-round. To a Montrealer, that seems fantastic, even unbelievable, because it’s tough going for most theatre companies in the city, and next to impossible to live from full-time work on the stage. I’m no expert, but I’ve learned a lot trailing in Christian’s wake, including the fact that the word play means what it ought to: enjoyment, entertainment, amusement, pleasure. Londoners know this. They understand their cultural history, and in true Shakespearian tradition expect to be engaged—directly— by what’s unfolding on stage. Few subscribe to the notion of the theatre as two separate spaces: one for the players and one for the audience. Instead, English audiences react more like participants in the event. They also expect to be able to do this with a drink in one hand and a snack in the other. They shuffle, rustle ice cream wrappers, and generally make themselves at home. For example, in The Play That Goes Wrong, there is no fourth wall. Instead, the characters occasionally speak directly to the audience, and circulate in the house throughout. All of which is fantastic, and was a revelation for me. During my two weeks with Christian, I saw eight theatrical productions: four at LAMDA’s Linbury Studio Theatre, and four in theatres throughout London. Christian also took me to The Electric Cinema, on Portobello Road: like dying and going to movie heaven. The stage is a magic circle, and I have a lot of catching up to do. The Electric Cinema, Portobello Road. It comes with leather armchairs, foot rests, cashmere blankets, individual side tables, and a restaurant-bar at the back. Oh! And the movie was Everest. Christian and I finished this sunny day by heading to Westminster to see The Oresteia. When we were advised that it was a 3 1/2 hour show with small strictly controlled breaks, our resolve didn’t waver: such are the reviews of this fabulous adaptation of the Aeschylus trilogy (yes! 3 plays presented in one evening’s performance), that nothing was going to put us off. It was bloody brilliant! Robert Icke’s daring adaptation had me hanging onto every word. September 27th, 2015: Day 15, The End. Christian took us to see The Mousetrap, the longest running show in the world. We were in the nosebleed section, in wooden board-seats that seemed designed for people with no legs (translation: in old theatres like St-Martin’s, the less affluent were short and able to put up with a lot of discomfort in exchange for the pleasure of seeing live theatre). Still, we could hear every whisper and see every face. There is a code of silence which every audience member must respect, so I can reveal NOTHING about the dénouement, except to say that I had it figured out at the interval. Today’s great thrill was once again made possible by Christian who took me to the Globe Theatre to see Shakespeare’s Richard II. You’re standing in an OPEN AIR theatre that is a replica of a circular venue of late 16th century England. You have a ticket that gives you the status of “groundling”: the cheapest seat in the house, but, unlike St-Martin’s theatre where you were wedged into a cheap, tiny seat, this ticket is for standing only, but standing right next to the stage; so close that you can reach out and touch the actors if you so choose. So close that you feel that you are part of the performance. It is an astonishing experience. The Globe is a huge success. The audience was made up of people of ALL ages. From the first sounds made by the horn players, the audience hushed…and then became spellbound. I return home tomorrow having seen 8 live theatrical productions, and feeling almost as lucky as Christian, who has lived in this fantastic city for a year. Now, it’s time for us to go home. 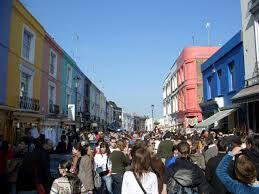 Final week in “Christian’s London” Part 3: PORTOBELLO ROAD !! Do you know the lyrics to “Portobello Road” from the movie Bedknobs and Broomsticks? I remembered the tune straight off, and the first couple of lines, but I had to look the rest up. Christian actually took me to Portobello Road twice: once on a week day, on a kind of reconnaissance mission (and a night out at The Electric Diner that I’ll never forget), and then again on a Saturday afternoon, when it transforms itself into a legendary street bazaar that stretches as far as the eye can see, over the heads of hundreds and hundreds of happy, jabbering visitors, shoppers and gawkers. Christian took me once again to Portobello Road, a place that is the best of London in its energy, its openness, it’s eccentricity, and most especially in the way that Londoners and visitors from around the world intermingle there with ferocious energy and spirit. We shopped with success! We tried to take in every sight and sound and smell (as well as a few tastes). We felt part of something great! In fact, Christian steered me through the roiling multicolored human river as though from the prow of a ship. I don’t remember ever feeling as delighted and safe in a crowd. Final week in “Christian’s London” Part 2: CROWDS !! Montrealers are lucky, I think, to live in a vibrant and diverse city that hasn’t yet grown so much that it has lost its equilibrium. Living in my home town, even on its busiest days, always feels manageable (except maybe if you’re sitting in a traffic jam and/or trying to cross a bridge!) . A friend who sold her cottage here and moved to Toronto many years ago commented not long after: “More isn’t always better”. In the crush of life in many modern cities, these words often ring true. But not in London. At least I never felt it. Not at fantastic Borough Market at lunchtime; not at Harrods on a busy shopping day; not in the West End on a Saturday night (though crowds flowed like a river through the streets); and not even on Portobello Road during Saturday’s open street market. What I felt was an incomparable energy and exhilaration. We went to Harrods this afternoon! Not being aware of the photographic etiquette in the place, I immediately whipped out my camera in the jewelry section, which didn’t go over very well with the firm (but polite) security guard. The rules at Harrods are: you can photograph any of the merchandise but cannot take photos of entire rooms (you could be casing the joint, I guess). From then on, I asked permission. Christian and I were only truly happy for those few minutes when we were purchasing three Harrods donuts and giant slices of chocolate fudge cake and Russian honey cake. We will test the cakes this evening. Otherwise, well…poshness really isn’t our thing, and neither is bling. On the day we were to visit Borough Market, and maybe to prepare me for the bustle that would soon follow, Christian first took me to a sanctuary in the heart of London: St-Dunstan’s in the East. “ (…) We went to the Thames this afternoon, and Christian started our day in the urban oasis of St-Dunstan’s in the East, a medieval Catholic church that survived everything but the bombing of London in WW II. Rather than rebuild, the city transformed its ruins into a beautiful enclosed garden in which to sit, read, eat, chat or ponder. After this, I couldn’t have been more receptive to the hustle and bustle of Borough Market, where the action unfolds mostly outdoors, sheltered by an old overpass. Borough Market is about the commingling of the tastes and smells of regions, nations and their cultures. It’s about the pleasures of a human hive. With Christian’s year at LAMDA having drawn to a close, London opened up to us both, because now he could give me a proper introduction to the city that he’d been living in for a whole year. Not the touristy London that one approaches with a checklist of monuments, historical sites and choice selfie backgrounds to capture on a smart phone, but Christian’s London, a far more personal, excentric, joyful, human, culturally rich, fluid, kinetic, spontaneous, complex and slightly cheaper (!!) city: one meant to be experienced. Thanks to a hyper-efficient transit system that comes close to bending spacetime, every district of London feels within easy reach. With Christian, I also discovered that each destination is just an excuse for a long and lovely walk. I also realized that London’s rain shuts on and off like a deranged sprinkler system, so if, for instance, your destination is the Royal Botanical Gardens at Kew, then you’re best to jump on the first day that promises three consecutive hours of dry weather. Even the old stone outer wall at Kew Gardens is beautiful. After tea with scones and clotted cream, we went directly to the Treetop Walkway, which swayed and shivered underfoot. If given the time though, I would have written an ode to the trees, because they were my favourites at Kew Gardens. I saw strangely bent trees and a carbuncled ash, beautiful towering cedars that seemed to have stepped out of three-dimensional paintings. And then, there was the Lucombe Oak. In Quebec (and other parts of Canada), most of the old oaks were cut down and used up. When I found Kew Gardens’ giant oak, I just ran to it. I’d never seen anything like the gnarled, twisted, arthritic, jagged and beautiful old giant. So many of the trees would feel right at home in Tolkien’s deep woods, in the company of Ents. I think Christian and I are experiencing the after effects of yesterday’s wonderful graduation. What I’m feeling is empathy. What he’s feeling is, I think, the impact of the first wave of finality, of the slow, inevitable dismantling of everything he built here and also the cumulative fatigue of a year lived flat out. So we had a slow morning. 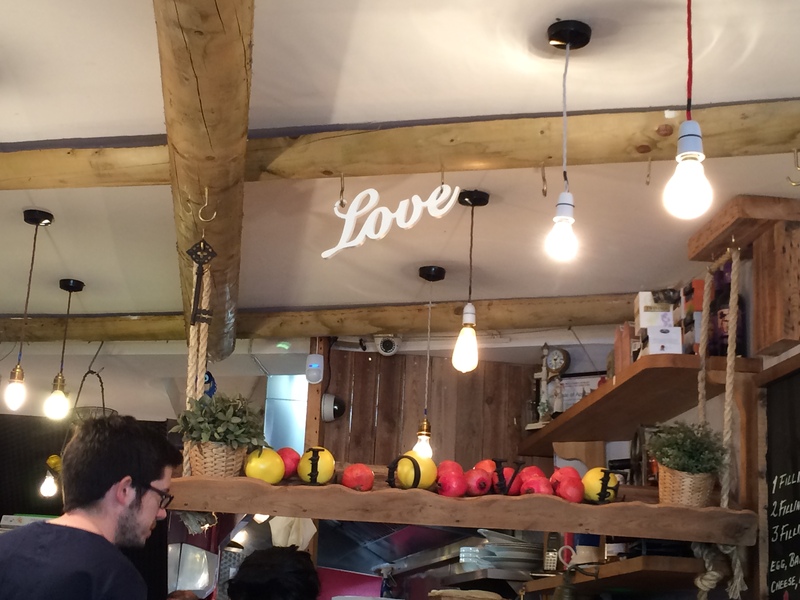 But since then, we took a stroll to Fulham and stopped at the Love Walk (isn’t that a sweet name for a café?). I had the Full English Breakfast and Christian had the American Breakfast. Soon, we’ll head off to the West End to see The Play that Goes Wrong!! A day that began on shaky legs ended with laughter and joy and THEATRE !! Christian took me to see The Play that Goes Wrong, at the Duchess, in the West End, and I was reminded yet again (!) how miraculous live performance really is, and how comedy elevates the spirit. But we also detoured earlier to the Primrose Bakery and afterwards, to the Angus Steakhouse (slightly posher than it sounds, but kind of obsessed with red and black motifs), where, in a fit of pique caused by the decor, Christian chose pork ribs and I chose a lamb shank. I’m awake but Christian still sleeps, while engines rumble, brakes squeal, cars honk their horns and jackhammers make a racket just outside our window above the pawnbrokers’. There’s one more official LAMDA day to be lived. A Graduation ceremony at 12:30 followed by a reception for the actors only. I’ll join the many parents who flew here to experience what I did, we’ll lunch together and hopefully, we’ll later be joined by our adult children who have added so much adventure to our lives. But even beautiful, ecstatic moments carry abrupt shifts: Christian and his classmates have already been asked to empty their LAMDA lockers and return their keys. It’s time to move on to the next Act.